April 22nd will mark our 46th Earth Day, and we want you to celebrate with us. Although we may not be able to plant billions of trees, we can celebrate in our own little way… Join us lunch or dinner and enjoy a bowl of your favorite Ejji ramen jam packed with all the vegetables you desire. 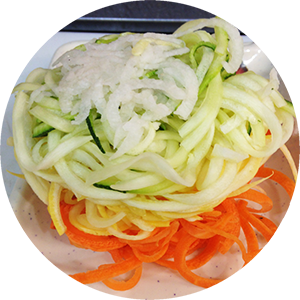 You can even go that extra mile and substitute your regular noodle choice with our vegetable noodles, which are made fresh daily from spirals of carrots, zucchini, yellow squash and jicama. 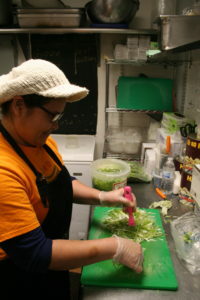 Seriously, check out the back of the house working hard to make those delicate veggie noodles that everyone simply adores. We love our staff! And here’s a preview of the final result…how do they taste you may ask? Well you’ll have to come in and give them a try. But we’re sure they won’t disappoint! At Ejji, we are proud to say that we are vegetarian, vegan, and gluten-free friendly which is why we offer plenty of options on our menu for everyone to enjoy. Next time you dine with us, be sure to ask your server for more details on how your can customize your meal! In 1970, the movement first began channeling human energy towards environmental issues. This year, their goal is make BIG things happen, by planting 7.8 billion trees for the earth, or making cities 100% renewable. And you can do your part by either joining the movement. 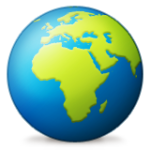 For more information on how to get involved with the Earth Day movement, click here.